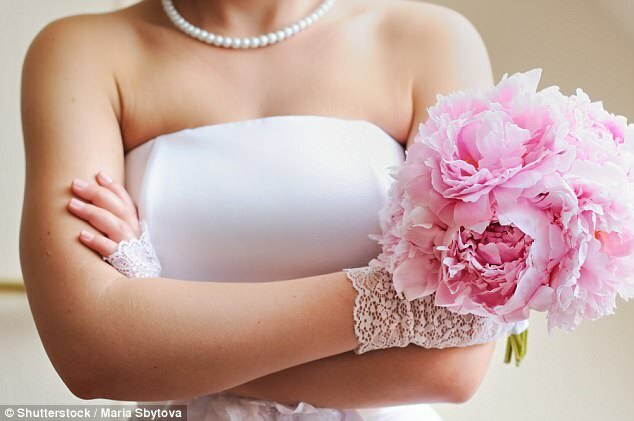 A bitter bridesmaid has anonymously revealed how her soon-to-be-married friend's extravagant demands included asking her bridesmaids to pay for her wedding gown. Haley, a high school English teacher, penned her story for Mamamia.com.au, saying that after initially being honored and excited to be one of seven bridesmaids for her friend Caroline, she soon realized that she was in the presence of a bridezilla. 'At first, I thought Carol was just being a little overzealous,' she wrote, adding that the bride was looking for input on everything from hairstyles to groomsmen's outfits from her bridesmaids. But things really began coming to a head when, on a particularly busy Friday, Haley received an email from Caroline asking her to compile an Excel spreadsheet with cake-maker suggestions, including price brackets, flavors and 'how prestigious the vendor is.' She asked that it be sent to her that same day. It being a busy day, Hayley responded that she wouldn't be able to get to it until the weekend and, though she received no reply, she did cancel her Saturday plans in favor of doing the research for her friend. After much hunting, the bride had just found her dream dress: a satin Marchesa gown running for $10,500 - twice the amount of her original budget. The bridesmaids dutifully told her she looked stunning and the dress would be worth the price tag. So, when Hayley spotted the email, she broke out in a cold sweat. While three of the seven bridesmaids replied with an offer to chip in, there was silence from the others - and Hayley was left positively fuming. Her story ends with her rethinking not only her participation in the wedding, but also her entire friendship with Caroline. Comments on the tale were almost entirely on Hayley's side, with some telling her to ditch Caroline as soon as possible.